This is the cat fur mite Lynxacarus radovskyi (Listrophoridae), which has a wide geographic distribution including warm regions of North America (with reports in Florida, Texas, and Hawaii), South America (Brazil), the Caribbean (Puerto Rico), and also countries in southeastern Asia (Malaysia, Philippines) and Oceania (Australia, New Zealand, and Fiji). 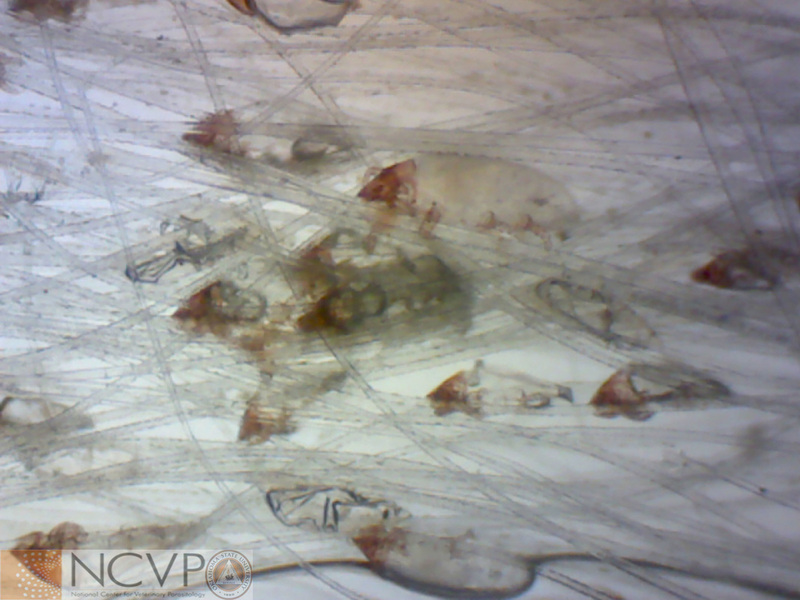 The species is easily differentiated from other mites (Cheyletiella blakei, Demodex gatoi,and D. cati) and lice (Felicola subrostratus) that infest cats by its body shape and color. Unlike many mites and lice the body is cylindrical and dorsally arched, with a strongly chitinized anterior part (head or propodosome) which is light brown in color, and the rest of the body (idiosoma) being poorly chitinized and light colored. The color contrast of these two parts of the mite’s body with light or dark hair coat of the host is responsible for the commonly noticed “salt and pepper” aspect. Adult males and females measure around 0.5 cm. 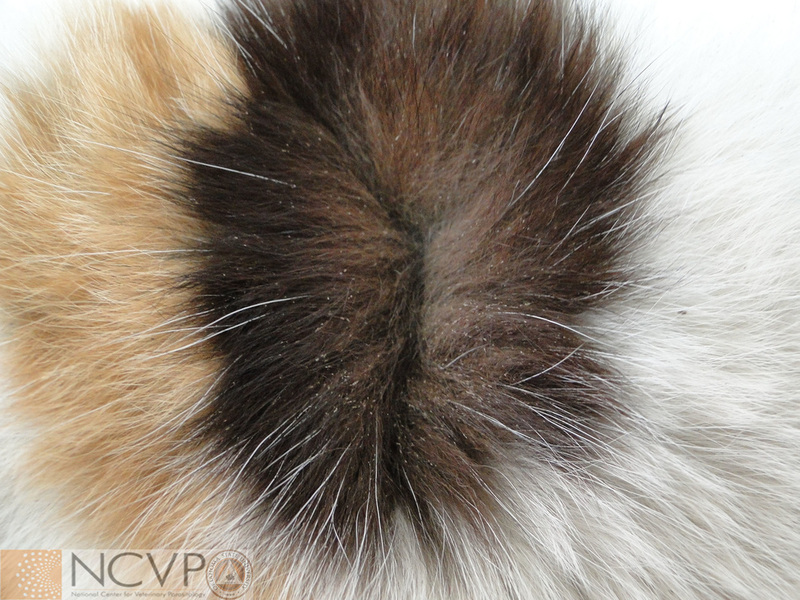 Infestation is commonly subclinical, but dull and broken hair coat is often observed. However, there have been reports of pruritus and papular dermatitis in infested cats (other ectoparasitic infestations or allergy may be the main cause of these clinical signs). Case kindly provided by Dr. Guilherme Verocai MV, MSc, PhD, DACVM, postdoctoral fellow at University of Georgia, Athens, GA, and Dr. Clarissa Pimentel de Souza MV, MSc, Dr.Sc., resident in Veterinary Dermatology, Colorado State University.